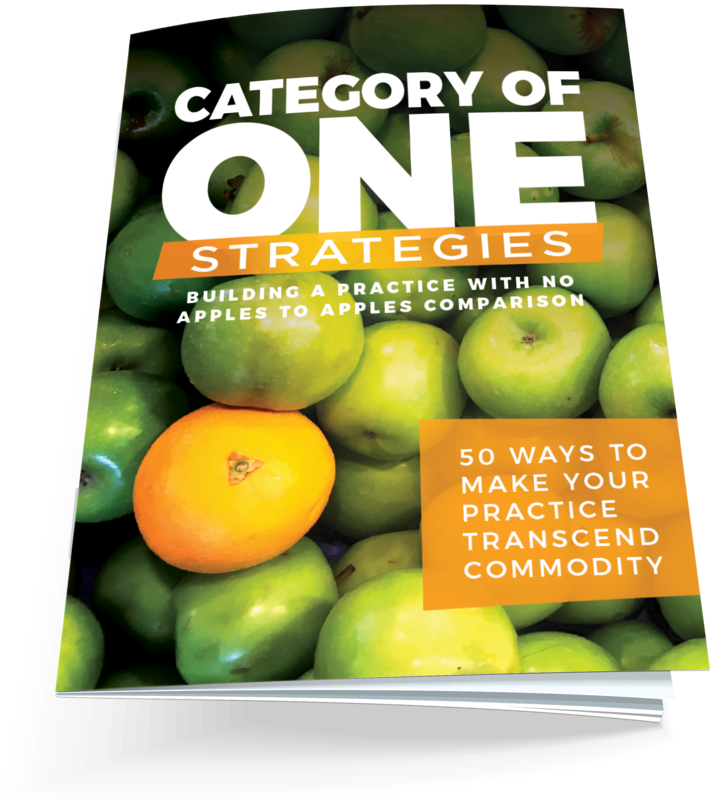 Top 50 Category of One Strategies that will allow your practice to transcend the commodity market! While all Category of One Practices transcend commodity in their communities, they all use different strategies to position themselves as a top practice. We asked over 300 Scheduling Institute Members to share what they’re doing to build a practice with no apples to apples comparison and chose the best ideas to be featured in this book! All Category of One Strategies include the idea behind their strategy, how it’s implemented, images of the things that make the practice stand out and the results/recognition that the practices have received because of their strategy! With hundreds of offices in the mix, from all around the world, imagine how many amazing, results-producing strategies are being executed every day to create and keep New Patients! And NOW is your chance to get your hands on the best of the best.